New Hilton American Express Credit Cards FAQs: Sign-Up Bonuses, etc. Now that American Express has wrestled exclusive rights to all Hilton cards from Citi, there are 4 Hilton American Express credit cards left. I’m not big on wasting bandwidth on marginal features and benefits no one cares about, so I will list the major selling and “counter-selling” points. Fortunately, the American Express application rules are not hard to memorize. They are simple and draconian. You can only have one sign-up bonus per card per lifetime. How long is this “lifetime” is debatable. Some datapoints put it between 5 and 7 years. You can have up to 4 or 5 American Express credit cards at any given time. That includes business cards, too. Charge cards don’t count toward that limit, and Frequent Miler has a good resource page that lists all American Express credit cards. My personal experience is that you can have 5 American Express credit cards, although I believe I had 6 at one time. Better play safe; if you already have 4 credit cards with American Express, apply and see what they tell you. The worst that can happen, they’ll ask you to close an existing account. 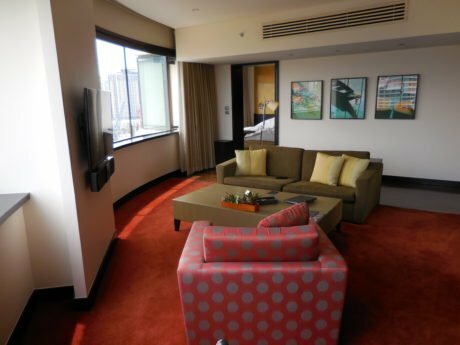 Is Hilton Gold status valuable? You bet! You get free breakfast and in many cases lounge access. You may not get the Executive lounge access if you aren’t upgraded to a Club Room, but in reality, I’ve had a good luck in this department, and in any case, the breakfast is yours. Out of all major chains, only Hilton and Marriott provide this benefit to their mid-tier elite members. Oh, and I promise, one day I will learn how to properly photograph the food. Not today, though. 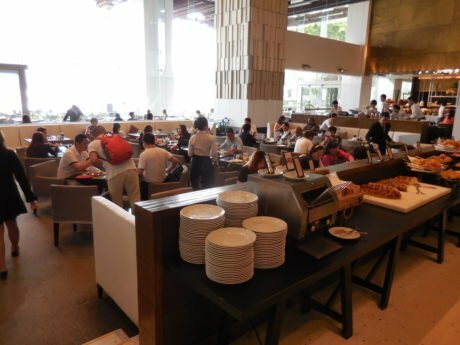 Millennium Hilton Bangkok breakfast — good and extensive, but not the best Hilton breakfast I’ve “experienced,” LOL. Should I apply for the 50,000-point no-fee Hilton American Express card? No. Provided you’ve never had this card before (if you have, you won’t get the bonus anyway) wait for a better offer. Because, you know, once in a lifetime and stuff. 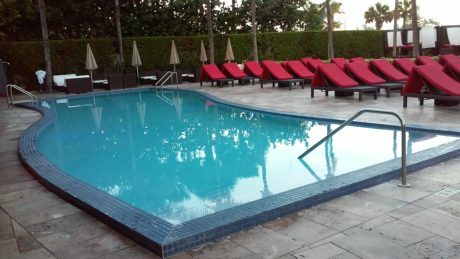 Is the Hilton American Express Ascend card a new product that qualifies for a new bonus? Your bet is as good as mine. If you’ve had a Surpass card before, wait for more datapoints. It’s not like this bonus will go away too soon (probably). 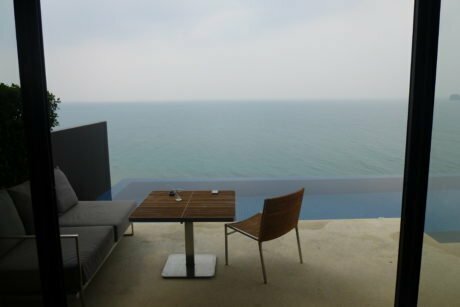 Should I apply for the Hilton American Express Ascend or / and business card with a 100,000-point bonus? Short version: if you already have Gold Elite status from other sources and if you’re eligible for both cards, I would apply for both. If you don’t have the Gold status, I would apply for one of the cards first, then, a year later, for another. 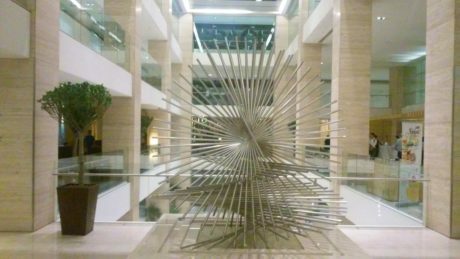 Is the 100,000 points bonus from the Hilton American Express Ascend or business card worth a $95 annual fee? Don’t be silly, of course, it is! Come on, you’re not trying to suggest that a Hilton point costs less than 0.1 cent, right? Isn’t getting the top Diamond elite status from a credit card exciting? Maybe, probably, as long as you manage your expectations. Here is why. The most valuable advantage of the Diamond status is upgrades to a better and bigger rooms including suites. Now, I was Diamond for a year and never, not once, got a real upgrade (what they usually call an upgrade to the next category room is really pathetic!). Basically, never gotten anything beyond the benefits I would’ve been eligible for as a Gold. In fact, I’ve found Marriott and Club Carlson more generous to Golds in terms of real upgrades than Hilton to Diamonds. It’s been a while since I updated my research on Hilton Honors. I’ll follow up in a few days, stay tuned. ← Did You Receive Free American AAdvantage Platinum Status?